Monarch Find is an Injekt-based adware program that promises to help you not to miss any deals available at different online stores ever again. It really seems that this program is reliable at first sight because it has a decent-looking website. Even though it looks legitimate, it is really suspicious that Mozilla Firefox claims that “Monarch Find could not be verified for use in Firefox. Proceed with Caution.” In addition, it is really strange that it is impossible to download it from its official website. The first question that comes to our minds is – where does Monarch Find come from? According to the researchers working at pcthreat.com, there is basically no doubt that users install this program together with other applications. In other words, Monarch Find usually slithers onto computer without direct permission. Are you one of those people who have detected Monarch Find? If so, you should better eliminate this program from the system. We will say you why you should do that further in this article. We cannot say that Monarch Find is a really dangerous program, but there is no doubt that it is really annoying. If you wonder what it is going to do, we will say only one thing – it is an advertising-supported application. If you still do not understand what we have in minds, you should know that adware programs flood screens with various commercial advertisements. According to the specialists working at pcthreat.com, you might start seeing shopping offers, pop-ups, and other kinds of ads after the installation of Monarch Find. Make sure that you do not click on them because they might redirect you to corrupted web pages. Not all the ads are dangerous, but you will never know whether the ad which you see on your screen is not provided for you by cyber criminals who want to distribute malicious software. Yes, some websites associated with the ads generated by Monarch Find might contain malware. That is why we suggest that you ignore them completely. 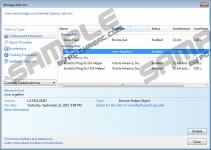 Injekt-based adware programs are similar to adware that belong to the SuperWeb family in a sense that they are all created on the same template and they all show ads only. These adware programs have official websites, but we do not think that it is possible to download them from there; thus, there is basically no doubt that the majority of adware programs use the method called bundling and slither onto computers with the help of other suspicious programs. We do not think that an ordinary user will be able to protect his/her system from malware, so we highly recommend installing an antimalware tool, such as SpyHunter, on your PC. You will be able to stop ads that Monarch Find generates rather easily because this program can be removed via Control Panel. If you do not know how to do that, you should use our manual removal instructions. We highly recommend that you scan your PC with SpyHunter after the manual removal of Monarch Find because it is very important to take care of other unwanted programs. 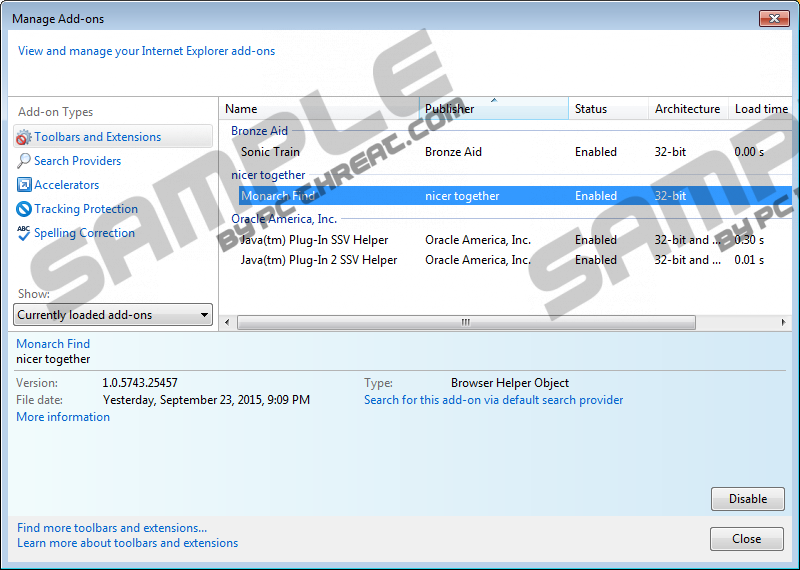 Locate the search box on your desktop and enter Control Panel into it. Start typing Control Panel with your keyboard. Click Uninstall a program and right-click on Monarch Find. Right-click on the unwanted program and click Uninstall. Quick & tested solution for Monarch Find removal.